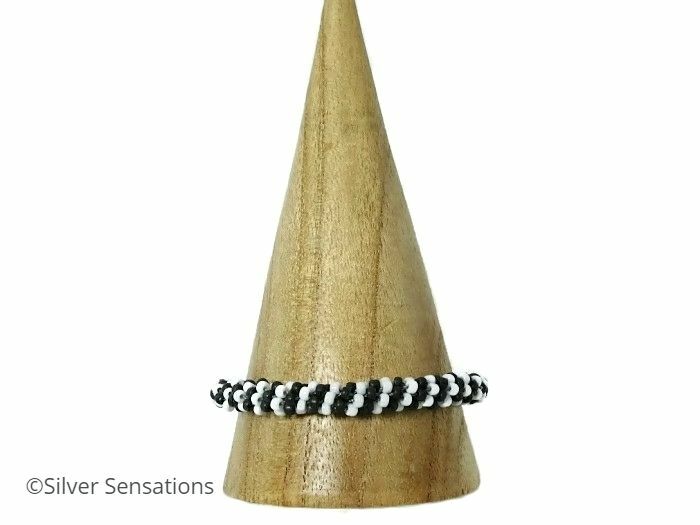 This time I've woven 3mm Toho black & white seed beads into a different stripe pattern rather than the usual stripe & the result is this handmade Kumihimo Unisex bracelet. I chose a Silver Plated toggle clasp & fittings which complements the bracelet. 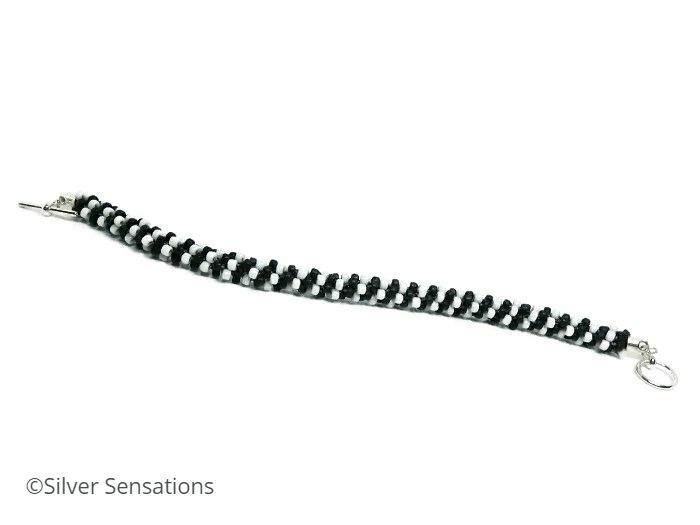 This bracelet has a wearing fit of approximately 7.75" - 8". This bracelet is 8mm - 9mm in width, so isn't chunky. I have many colours of beads available, so if you would like a different colour, please contact me & I'll be happy to help. All plated materials are bought from reputable suppliers as conforming to EU Safety Directives. "Pretty design. Striking bracelet. Love it"